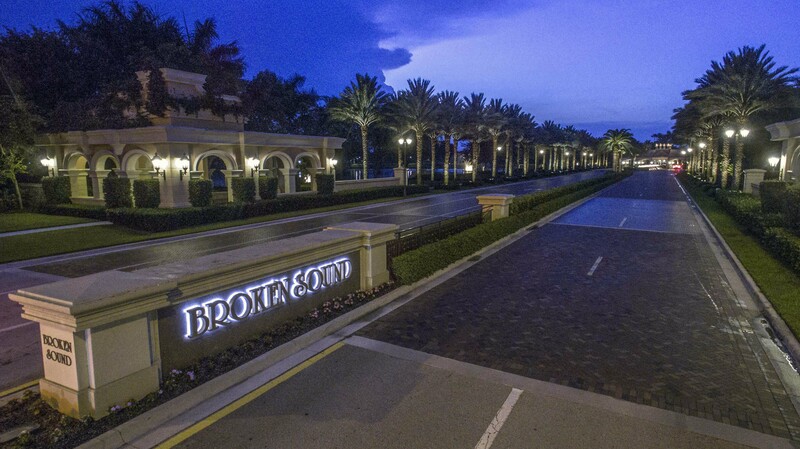 Broken Sound is a Country Club Community comprised of 22 villages and neighborhoods located on the North side of Yamato Road at St. Andrews Blvd in Boca Raton, Florida. Broken Sound appeals to a wide variety of lifestyles, including families, seasonal residents, professionals and retirees. Established in 1986, Broken Sound offers stellar amenities, an excellent location and beautiful surroundings. Aquatic Area-from kids to adults, here is the ideal spot to soak up the sun and cool off. Clubhouse-host gatherings and know there is always a spot to get together and unwind. Fitness Center-you never have to travel "off-site" to get a good workout in. Gated Security-the peace of mind knowing that your entrance is monitored. Golf Course set on 1,000 acres amid award-winning landscape design. Broken Sound also offers different home options to fit your specific needs. House prices range from the moderate all the way up to multi-million dollar pieces of property. You also have the option of selecting your home size, varying from 2,000 square feet all the way up to 10,000. Depending on your preference for living, you can decide on one of the many villas, townhouses, patio options and custom single-family homes at Broken Sound. Once you've found the optimal house, you can start enjoying the community and its surroundings. For a private tour of Broken Sound, Contact Us at Mizner Grande Realty. We are experts in all of the local Country Club and Golf Course Communities in Boca Raton and surrounding areas.